Pizza is no longer just for Italians and Brooklynites. Whether it’s thin crust or deep dish, round or square; as a snack, for dinner, or even breakfast, people all over the world love pizza. And more pizza lovers means more business for pizza shops. According to PMQ Pizza Magazine, the worldwide pizza market is estimated to be worth $128 billion in 2017. With a market this size, competition is bound to be strong. One of the ways for a business to stand out is to have a smooth, effortless ordering and checkout process in place. You need a POS system that can handle any kind of restaurant’s unique needs. 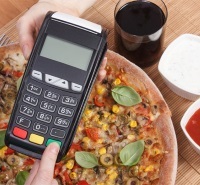 Why do pizza restaurants have special POS system needs? Every pizza order is different. From the type of crust to the sauce, toppings and cheese, it’s not uncommon for a pizza store to make many pie varieties in a single day. Customers usually also have control of portion size. They can choose how much of a particular topping they want, the size of the pizza and even whether they’d like a whole pizza, half, or just a couple of slices. According to FranchiseHelp.com, takeout makes up almost 50% of all pizza orders. This means that in order to maximize its potential, your pizza restaurant must handle eat-in and takeout orders with equal effectiveness. This isn’t easy, because eat-in and takeout customers have different needs and expectations. Many takeout customers will want to order online, for instance, which means you’ll need to have a regularly updated online menu and you’ll need to be able to track delivery statuses. The pizza restaurant market is dominated by large chains. It’s tough to compete with these huge, multinational companies, especially if you’re a small independent establishment. 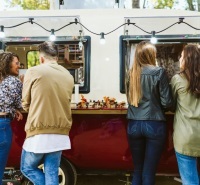 According to a study by Small Biz Trends, increasing the number of repeat customers by a mere 5% can boost your profits by as much as 95%. This means that offering rewards or having a loyalty scheme in place is very important. Obviously, for a loyalty scheme to be successful, you need to process rewards efficiently at the point of sale. Given the unique features of the pizza market, your POS priorities are probably very different from those of other restaurateurs. Having to input orders manually can be frustrating, especially if you’re creating hundreds of custom orders daily. So it’s crucial to choose the best pizza POS system that can handle as much customization as possible. In particular, check whether the system allows you to add modifiers and substitute ingredients. That way, you can create and save templates and edit them on the fly instead of having to create every new order from scratch. It can sometimes feel like every customer ordered double mushrooms, when in reality, it was only two people who placed that order. Knowing exact data about how much of each item was ordered is vital to saving money. Online orders are sometimes handled by third-party services which can be costly, as you’ll need to update your online menu, which can result in a lot of duplicate admin work. A Pizza POS system with integrated online ordering cuts out the middleman. You’ll also be able to use one and the same menu for both onsite and online ordering, instead of having to maintain two menus at the same time. Having your customer loyalty platform built into your pizza POS software can be a valuable niche, for a few reasons. Firstly, you won’t have to sign up for a separate customer loyalty platform, which saves money. Secondly, not having to carry around a loyalty card is convenient for customers. The rewards are directly linked to their credit card. Finally, you can collect valuable sales data - ranging from most popular products, to whom your best customers are. We put together a list of our top 4 most recommended POS platforms for pizza restaurants. 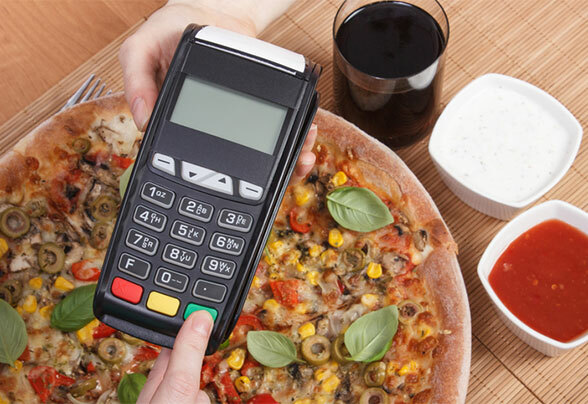 Revel Systems has a POS system specifically for pizza restaurants. Cloud-based and designed to work with Apple iPads, it has an “always on” mode, which means it works even in case of an internet outage. Inventory is tracked using the sales data from the POS system, so you’ll always know exactly what you need to restock. And menu-building, creating custom orders and portioning is as easy as it gets. While lightspeed doesn’t have a pizza-specific offering, it boasts an incredibly flexible POS system. 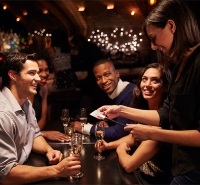 Impress your customers with tableside ordering; and take the awkwardness out of going Dutch via its bill splitting functionality. As a plus, lightspeed also integrates with a wide range of other programs. These include its own accounting solution and delivery-monitoring system Overlord. TouchBistro offers two POS solutions - a full-service, tableside POS system for full-blown restaurants and a light version for smaller establishments. This makes it the ideal choice if you’re starting out small, but want to keep the option of scaling up in future. Designed to work with Apple iPad, it’s intuitive and easy to use and gives you an incredible degree of control. You can customize almost anything - from single menu items to your restaurant’s entire floor plan. Shopkeep​ has a super simple way to order, meaning that your customers get their pizza fast and without any complications. The iPad POS system “register” removes any need for traditional pen and paper ordering; your customers can select, customize, and pay in one transaction. Even better, the iPad sends the order straight through to the kitchen, and the in-depth reporting means you can keep on top of all orders with just a glance. With such intense competition, it's important to know where to look for the most reliable companies. 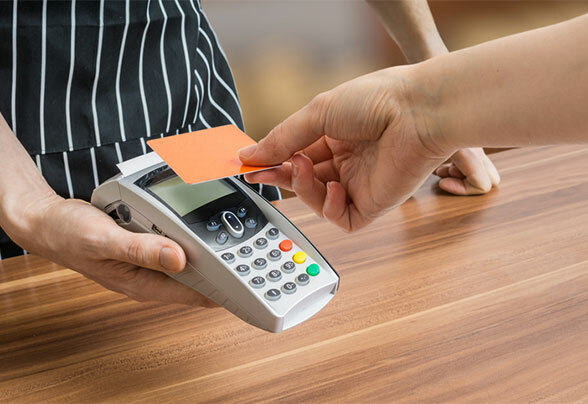 Check out our list of the best POS systems for restaurants on the market.